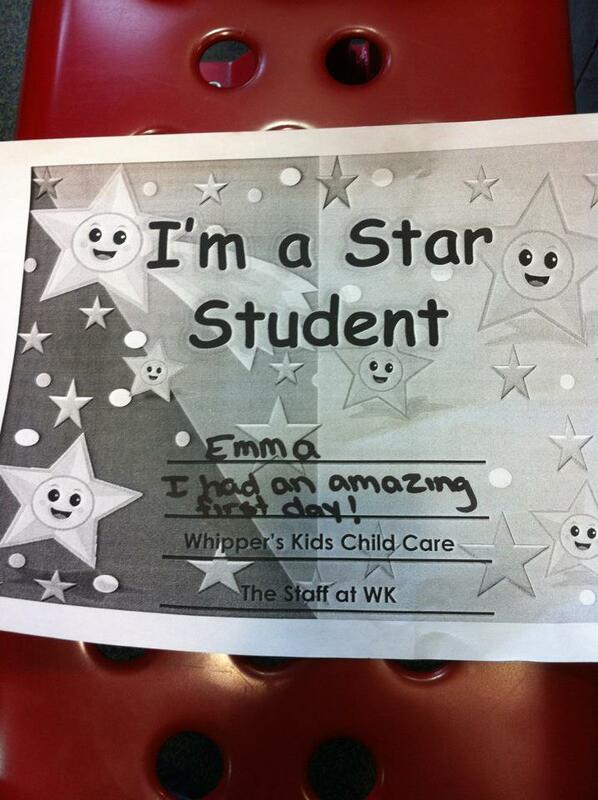 Today was a big day for Emma. She started her first day of Daycare. We went for a tour 2 weeks ago and she has been talking about it ever since. She woke up this morning SO excited to go! Made it so much easier dropping her off that she actually wanted to go! I felt super guilty because I was home all day yet I still sent her to daycare. "before I have kids I will never..." attitu﻿de. NEVER put my kids in daycare. Well when you have kids your views change immensely from when you were preggos. 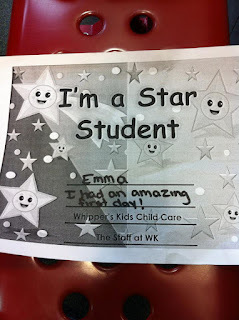 The reason we decided to put Emma in a daycare centre was because we were beginning to have a lot of behavioural problems with her at home. My husband and I both knew that this was from lack of structure at home. We knew there was no way she could go from being home with mama all the time to starting kindergarten 5 days a week full days!! That would just be way too much! So we decided it would be best to slowly transition her. Emma is a January baby so she doesn't start school until she is 4.5. She will start in September 2013. We enrolled her in daycare 2 days a week and will keep her in it until she starts school to prepare her for school. I dropped her off and she immediately ran off into the room and greeted the other kids and started playing as if she had been going there her whole life. Made me sad to see her leave me so easily but also proud. 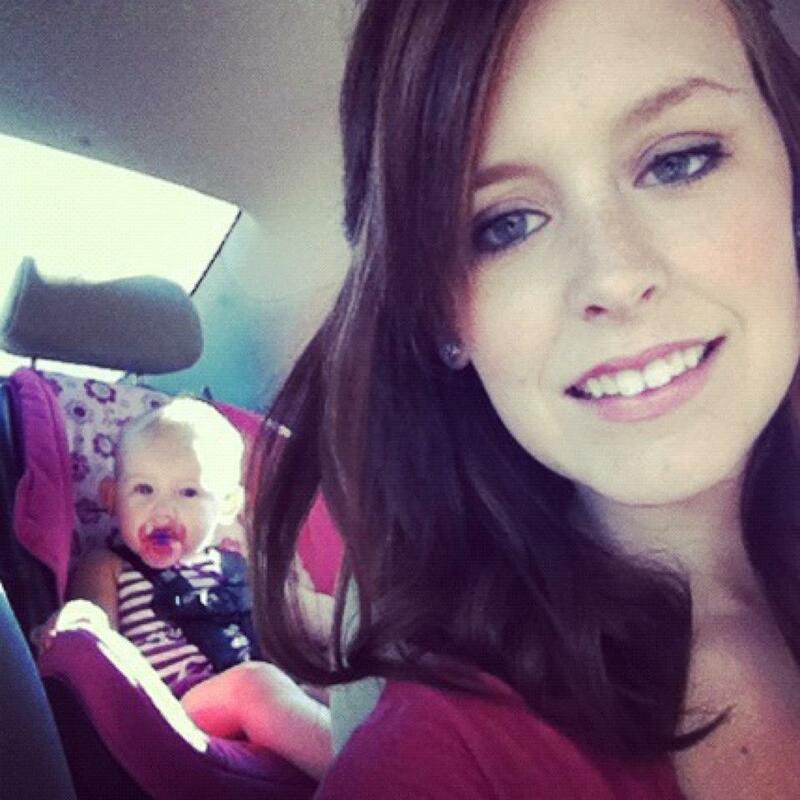 After I dropped her off I took Audrey on a mama daughter date to Starbucks. We enjoyed a coffee, organic apple juice and banana chocolate chip muffin! Then we went home and Audrey napped for 3 whole hours! And I did the best cleaning of the house that I have done in MONTHS!!!! By the time I was done cleaning it was already 4 o'clock and I was DYING to go pick up Emma. I felt like I was going to throw up I missed her so much! The house is SO quiet without her. I think it is good for both her and I to get used to her being away from home 2 days a week before shes gone 5 days a week. When I picked her up her daycare teacher told me she had a FANTASTIC day! Emma wore here eye patch while there with no problems. She got this certificate presented to her today while she was in daycare. I wanted to cry when she gave this to me. She can't wait to go back Friday!